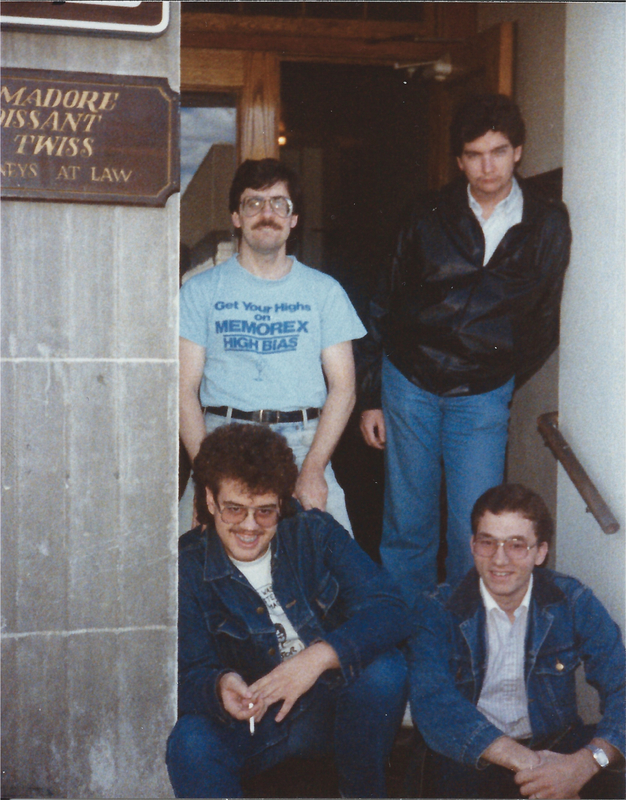 In keeping with the spirit of Throwback Thursday, About Men Radio’s Richard Rodriguez reached into the archives and pulled out some vintage photos of the AMR crew circa 1987 in Saranac Lake, N.Y.
As you can see, we were mere lads back then. But we were rocking the ’80s look hard. 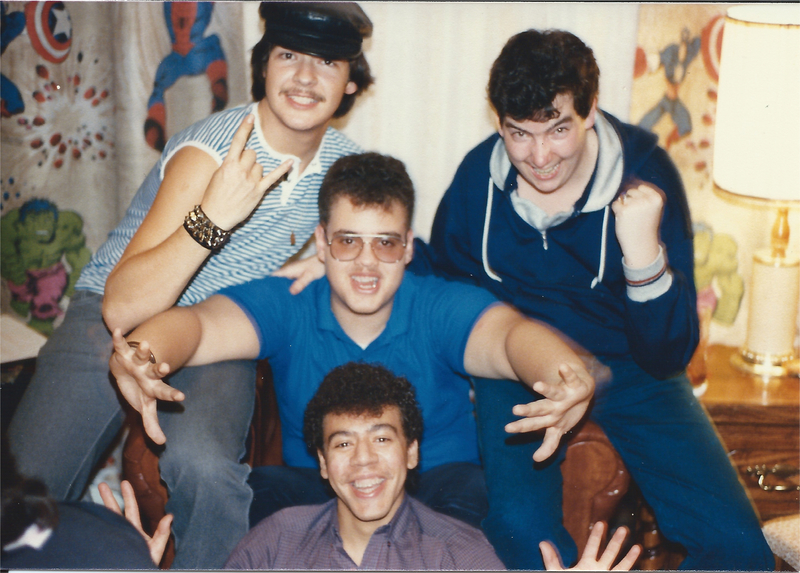 Left to right, Pedro, Gary, Rich and Chris (who either was cold or trying to look all gangsta). Here too are some of the comments the AMR crew made when Rich shared them with us. Top left, Gary (doing obscene things to Pedro’s neck), John, rocking that pleather jacket, Pedro and Chris. * Did we plan on looking like gay hustlers or was that a happy accident? * John, you look like such a hardened soul in this pic. * I can only imagine what Gary is doing to the back of your head Pedro. * Chris looks like he just walked of the set of Happy Days. * John looks well hard in that photo. Badass. * Pedro has an evil Gene Simmons look. Silvio (fresh off a performance with the Village People), John, Pedro and Rich, who pioneered jazz hands before it was popular. 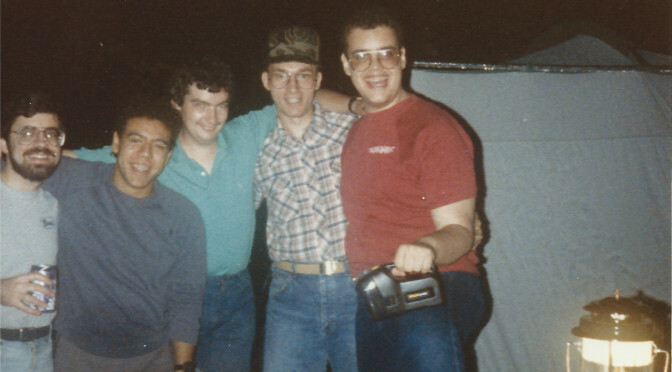 A camping trip in 1987 of epic proportions — fodder for a blog post in the future. 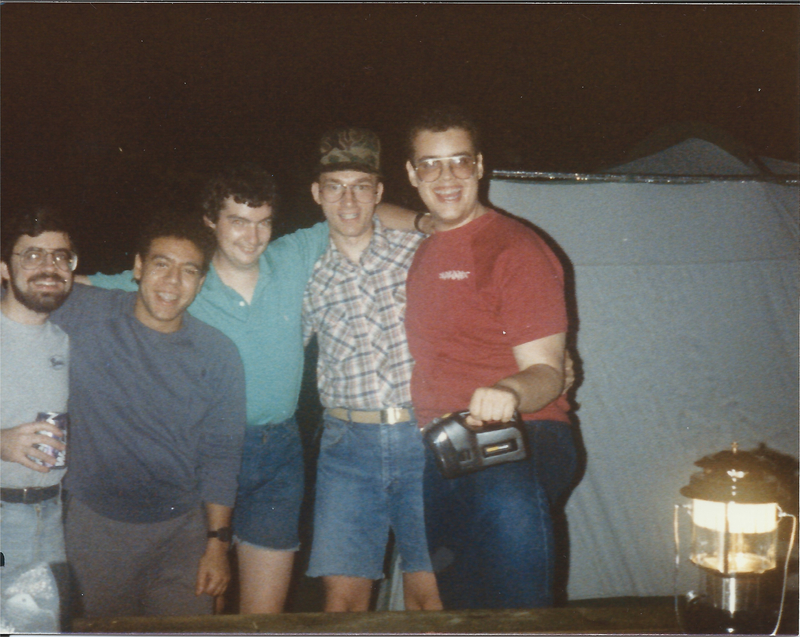 Left to right: Gary, Rich, John (nice legs), Chris (wearing a camo cap AND a plaid shirt! WTF?!) and Pedro.